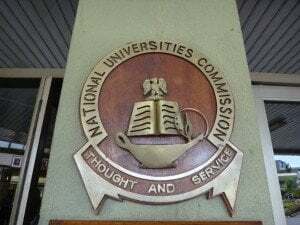 See also: Top 100 Universities in Nigeria 2019 [Latest Edition] and List of Accredited/Approved Universities in Nigeria. LIST OF ILLEGAL DEGREE AWARDING INSTITUTIONS (“DEGREE MILLS”) OPERATING IN NIGERIA. In addition to the closure, the following Degree Mills are currently undergoing further investigations and/or ongoing court actions. The purpose of these actions is to prosecute the proprietors and recover illegal fees and charges on subscribers. Richmond Open University, Arochukwu, Abia State. Volta University College, Aba, Abia State. Illegal Satellite Campuses of Ambrose Alli University. L.I.F.E Leadership University, Benin City, Edo State. For the avoidance of doubt, anybody who patronises or obtains any certificate from any of these illegal institutions does so at his or her own risk. Certificates obtained from these sources will not be recognised for the purposes of NYSC, employment, and further studies. The relevant Law enforcement agencies har e also been informed for their further necessary action. * This list of illegal institutions is not exhaustive. Comment Text* is west African Union university law accredited? Please, I want to know if international professional college of science and technology administration nasarawa state is a recognized university. Which of the federal universities gives direct entry admission for polytechnic students that want to continue from 200 level in any of the federal universities in Nigeria after ND2 studies? Please help me find the cheapest private university to study computer science in South west. When is fulokoja post utme form gonna be out? Good morning, please when is fulokoja post utme form gonna be out? Good day please is.imsu screening form out? Comment Text*I want know if RICHMOND OPEN UNIVERSITY is legal to operate in Nigeria or not.